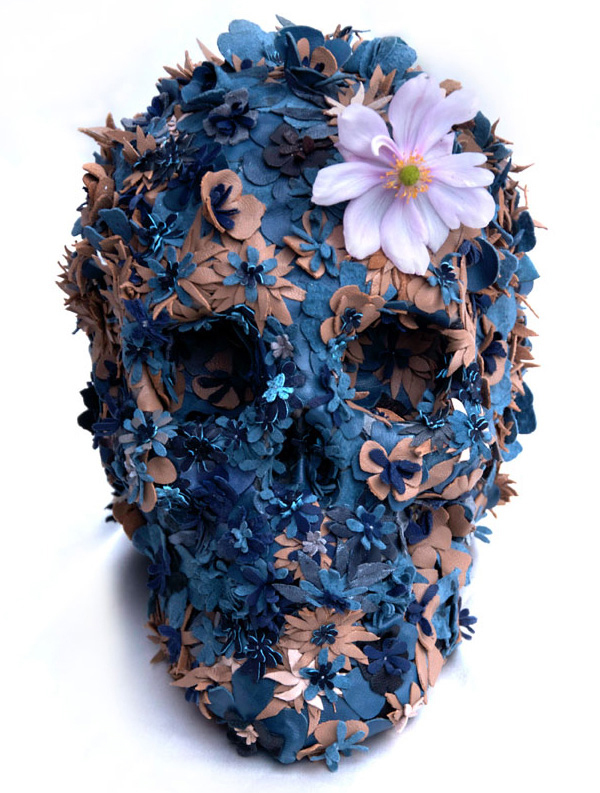 Jackie Tsai is a Shanghai-born and London-living mixed media artist who seems to have added flowers and bones, or at least their likeness, to the artist’s arsenal. 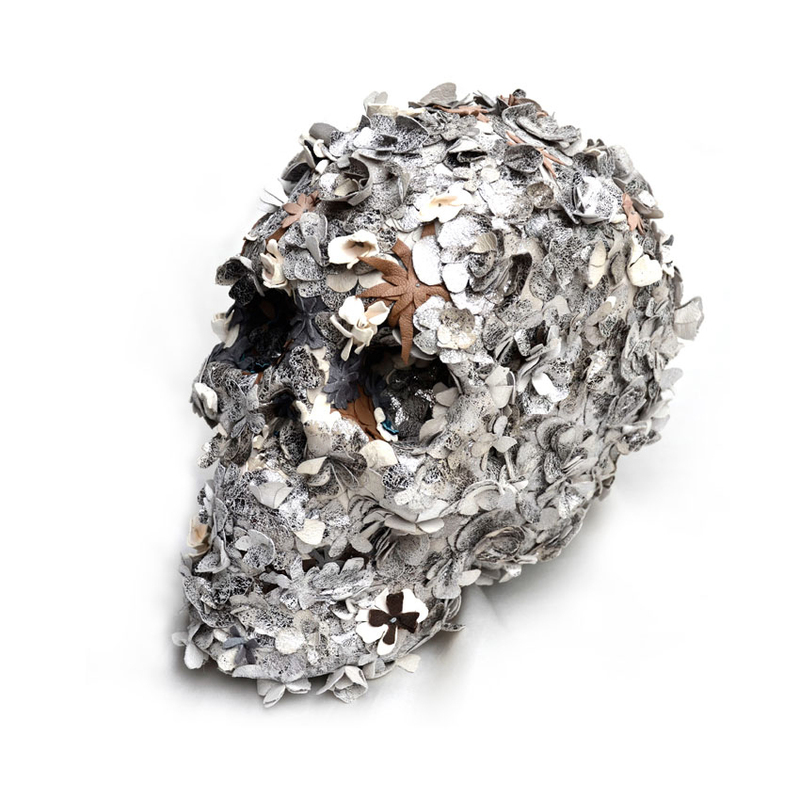 Most known for his flower skull art done for the late fashion designer Alexander McQueen — whose many fashion bits you’ve seen around these parts before — Jackie Tsai’s detailed work combines elements of traditional Chinese painting with western pop art. 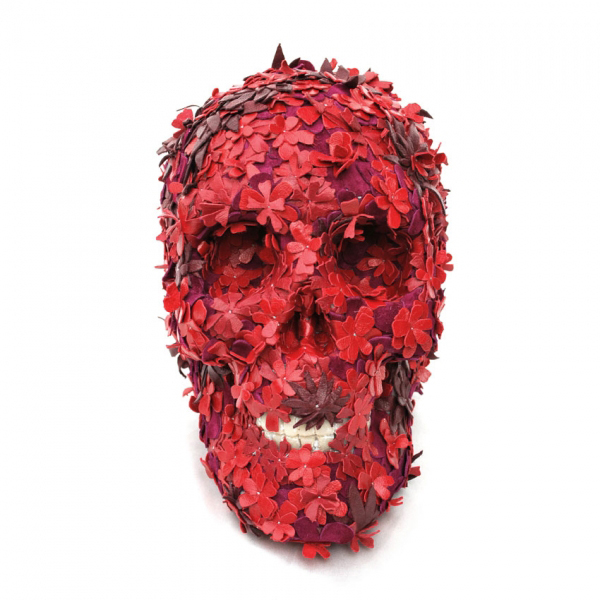 Just what goes into the making of the skulls tends to vary, in terms of both size and media. 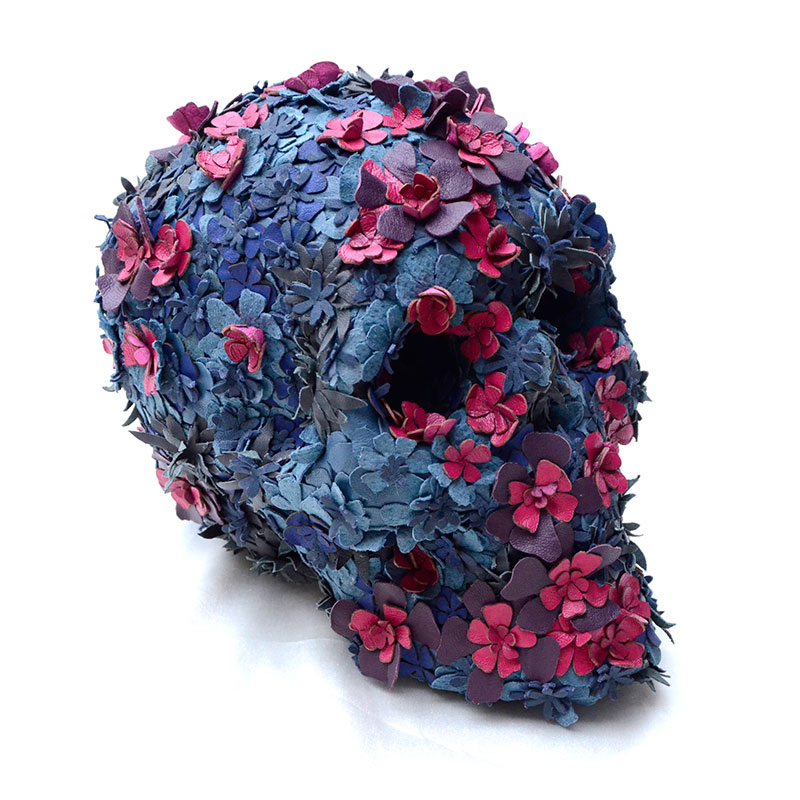 Initially the flower-work of the floral Skullptures were hand-crafted from paper, but they’ve since progressed to leather, life-sized “skullptures” which in one instance were planted on a 5-foot skull. 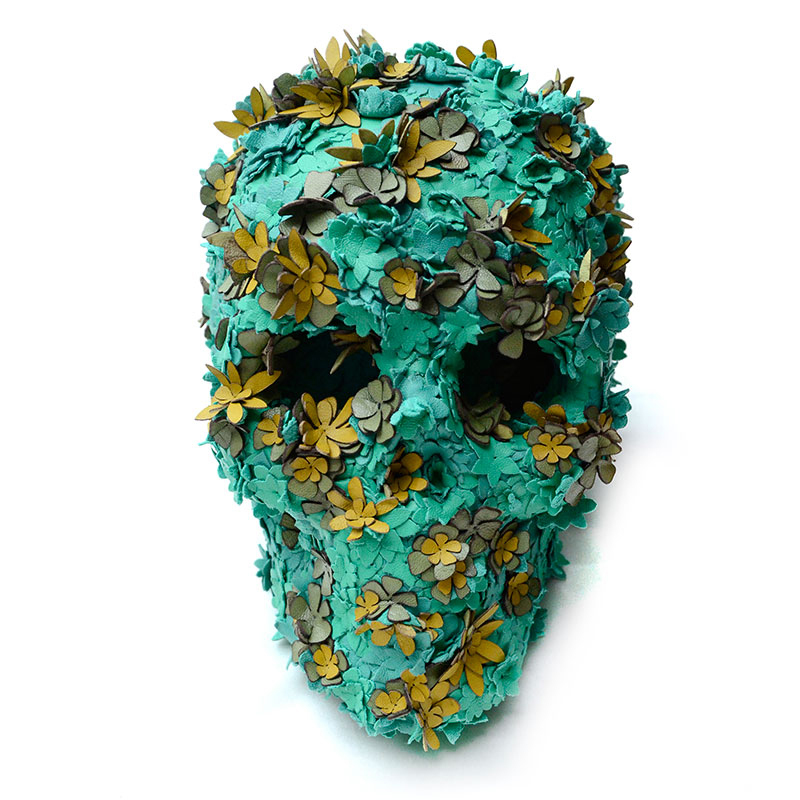 That piece required the labor of 15 needle smiths, not to mention the hunting team of seven armed giant slayers to tackle the last giant for his skull. Just kidding about that last part; no giants were harmed in the name of art. 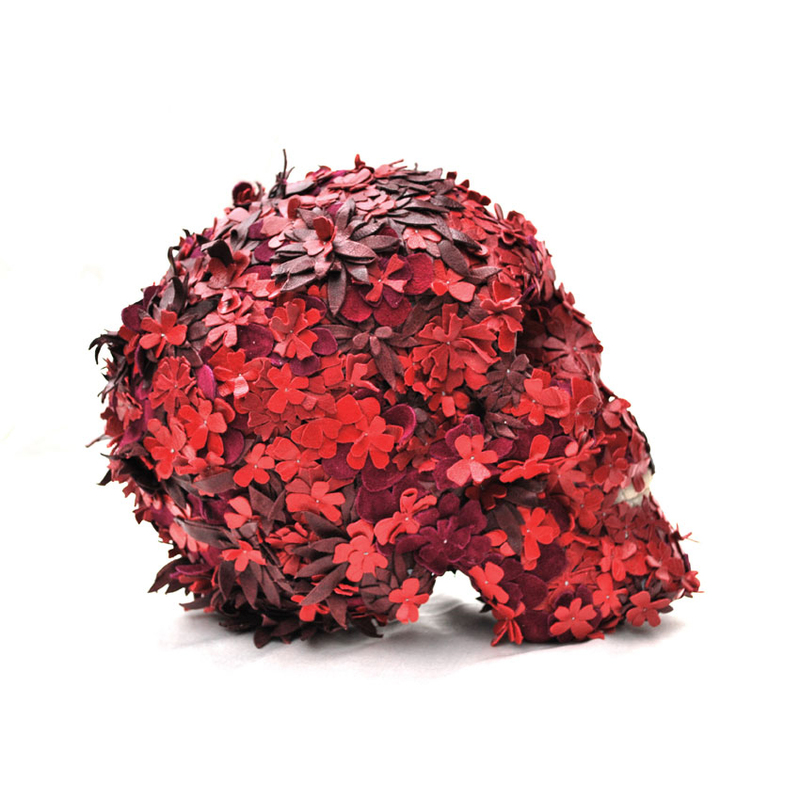 While much of the elusive what-alls involved in the artwork remain in the roots of rosebushes planted deep in the artist’s skull, more about his artwork can be found on his blog.